For current news, please visit our Facebook page. • Claymills is featured in a 6 page article in the December edition of Old Glory magazine (No. 334). • Formal "Permission to Start" has now been received from the Heritage Lottery Fund, so the hard work of developing the Visitor Centre project has really started and the clock is ticking. • A grant of £10,000 has been received from the John and Olga Lloyd Trust to replace the A & B engine cylinder cladding. • Restoration work on Boiler 5 is complete and it is now ready for the steam test. If the boiler passes, it will also be in use on February 26th for the inaugural running of B Engine. 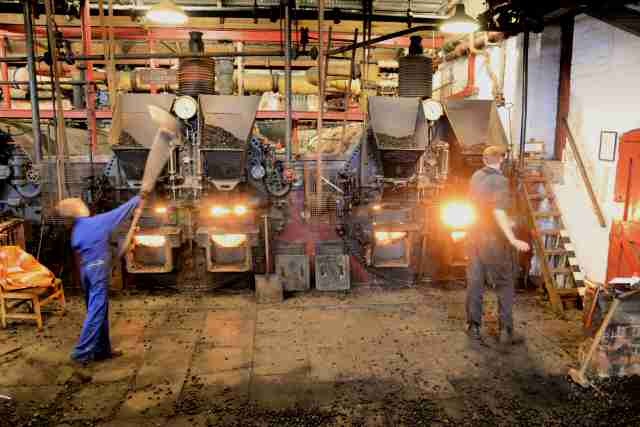 • Update: Boiler 5 has passed its steam test and so both Boilers 4 and 5 will be in use on February 26th. • Here are a couple of pictures from the weekend, when both Boilers 4 and 5 were supplying steam to 3 working beam engines. Here is B engine. 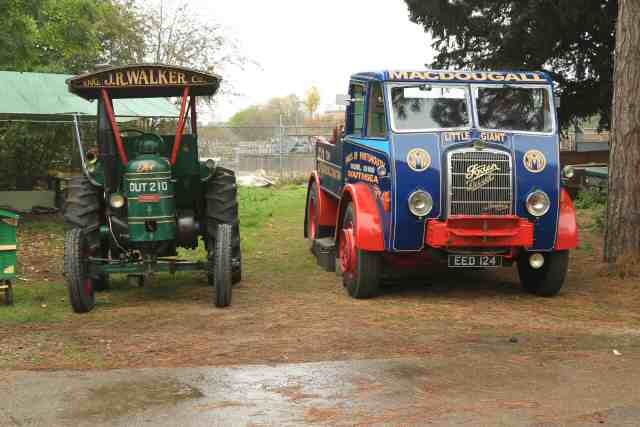 • The New Year steaming started on Sunday with a rainy day, but an impressive number of visitors arrived, including a couple of trucks. Monday was a great sunny day and resulted in a new record for our New Year steaming. 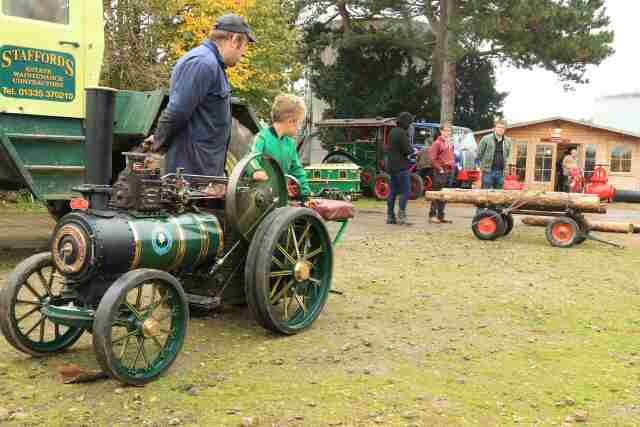 • Two more of the Claymills steam engines have returned to site. 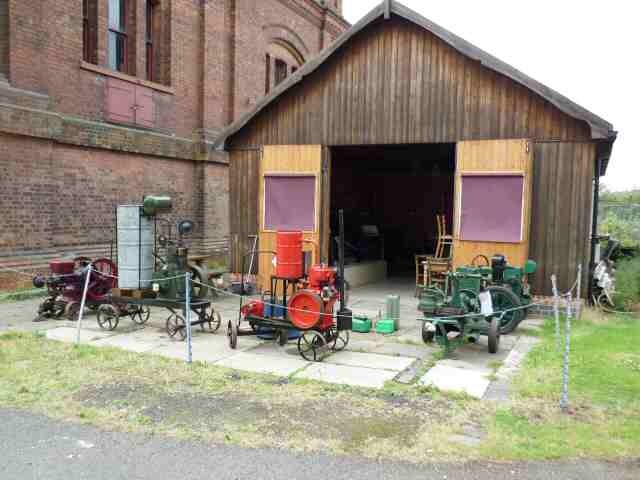 These engines had been removed to Ryhope Engines Museum when the station was threatened with demolition and after negotiations have been transferred back to Claymills. 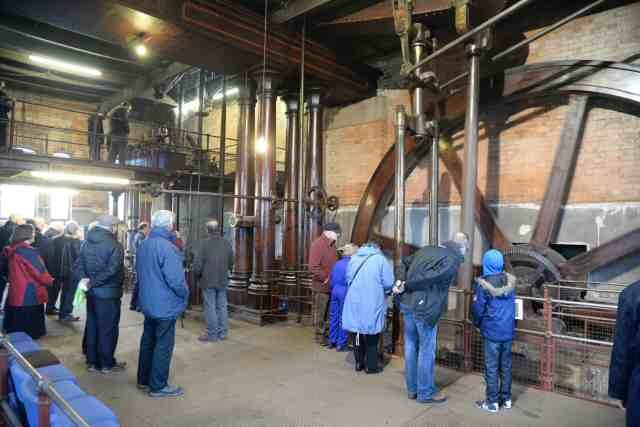 The picture shows a Buxton & Thornley pump in the foreground and the Green's economiser engine behind. • The Trust has been notified by the Heritage Lottery Fund that the first round application for the Visitor Centre project has been successful. 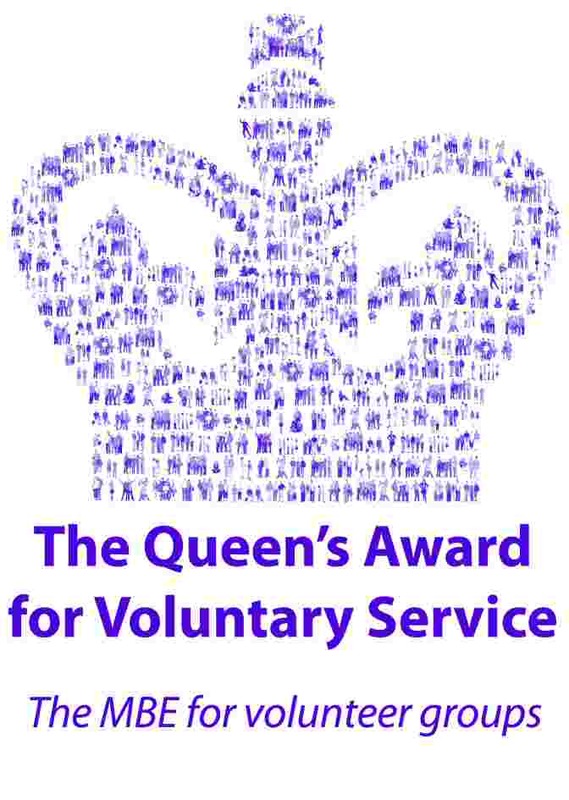 The first round grant is for £56,100. • Work continues on replacing the brickwork and stone slabs on top of Boiler 5. 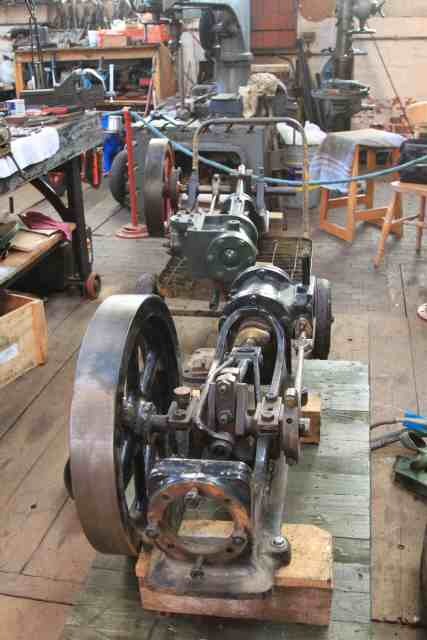 • The piston rod packings on 'B' Engine have been fitted to the HP and LP cylinders. • A revised bid to build a new visitor centre has been submitted to the HLF. • The cooling water pipework for 'B' Engine has been connected. 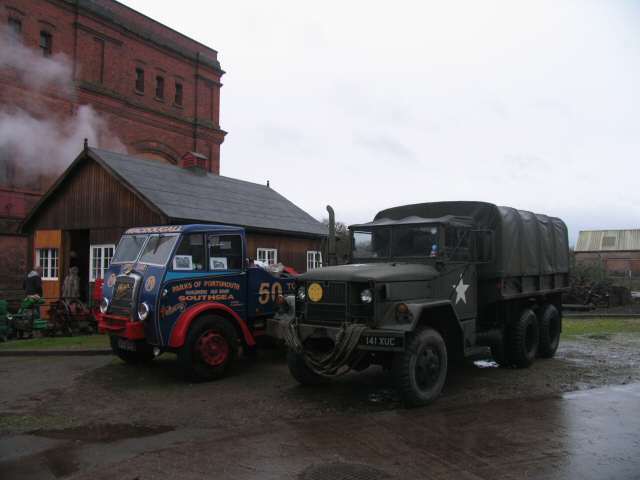 • The Winch & Wagon display is featured in a 5 page article in the July edition of Old Glory magazine (No. 317). 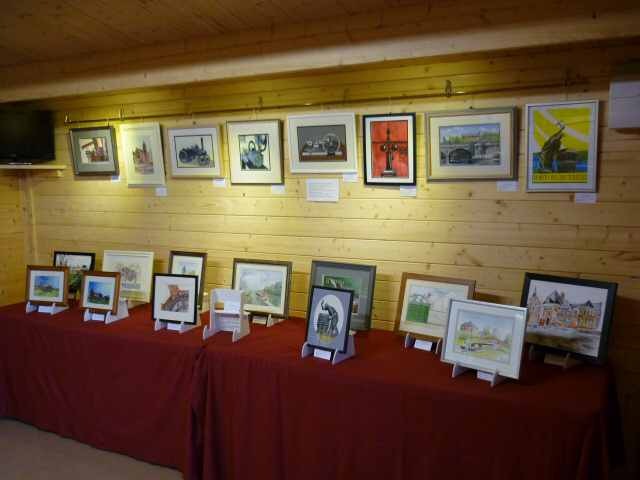 • The May Day steaming also featured a display of paintings of industrial Burton on Trent by the Priory Art group. 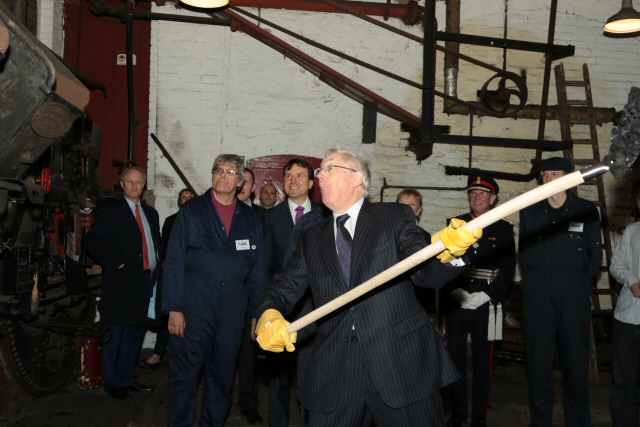 • His Royal Highness Prince Richard, Duke of Gloucester, visited Claymills on 7th April as part of a three site visit to Staffordshire. Earlier in the day, he had opened a memorial garden near Lichfield and visited the National Memorial Arboretum. 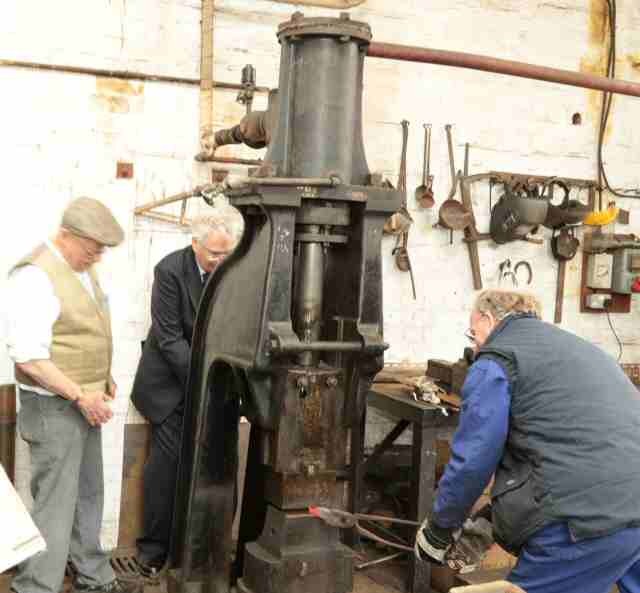 During the visit, the Duke operated the steam hammer, shovelled coal into the boiler and opened the steam valve to start 'D' Engine. 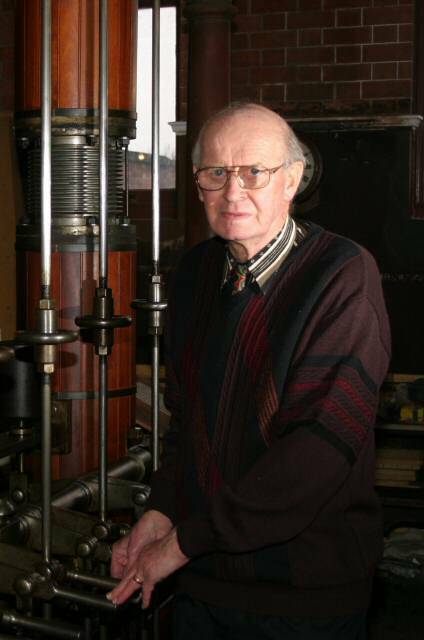 • It is with great sadness that we heard of the death of George Mander, the last chief engineer at Claymills. George began work for Burton Corporation in the 1940s as an apprentice fitter and worked his way up to chief engineer. 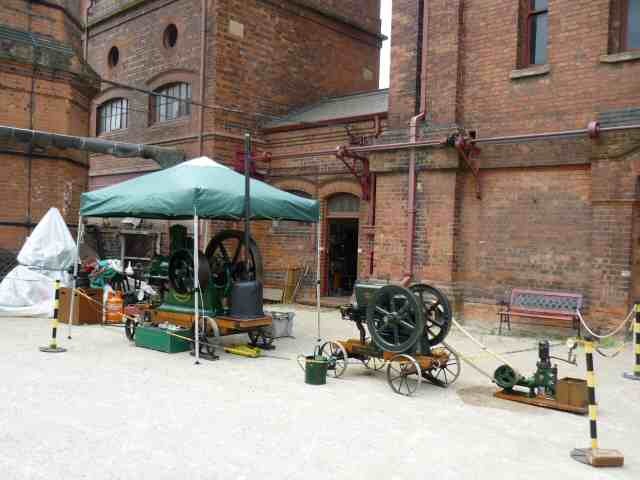 When the steam pumping was closed down on completion of the new treatment works, George was responsible for saving many of the engines and machinery by transferring them to other organisations. George's meticulous records enabled the Trust to track down and repatriate most of them. 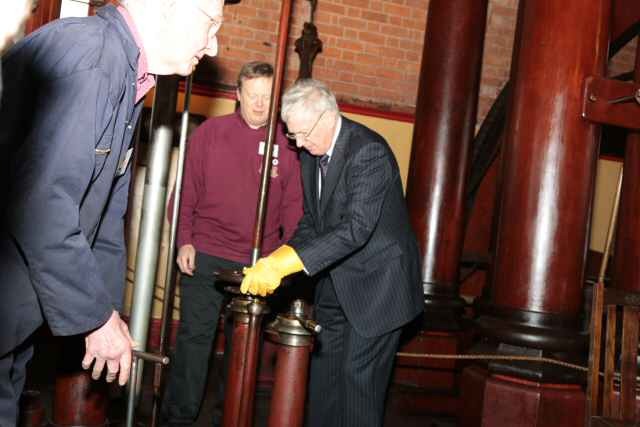 Without George's actions, the pumping station would not be what it is today. The Trust owes a great dept to George. 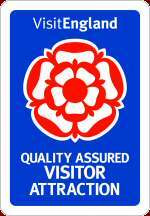 • After nearly sixteen years work behind the scenes, the Trust has received confirmation that the Museum Accreditation process has been successful and that Claymills is now a fully Accredited Museum. 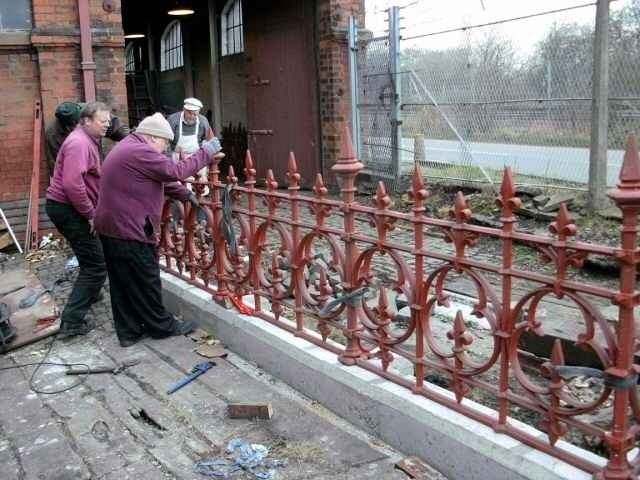 • Some time ago, a cast iron fence at Burton Victorian swimming baths was dismantled and transported to Claymills. After much painstaking work to remove layers & layers of old paint, four panels have now been erected. 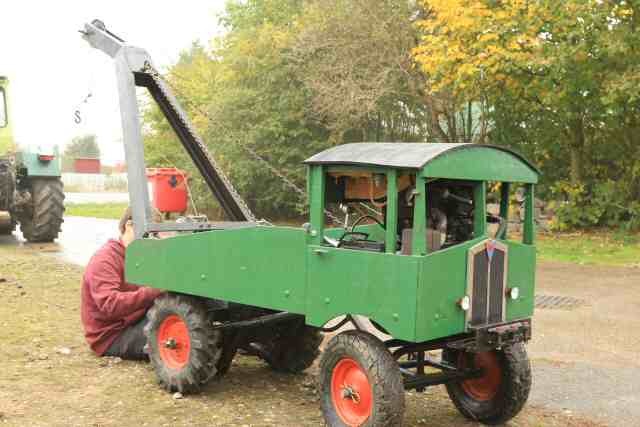 • In order to protect visitors viewing the winch and wagon display, a new fence is being erected. But this is no ordinary fence - it takes 3 or 4 people just to move each section. 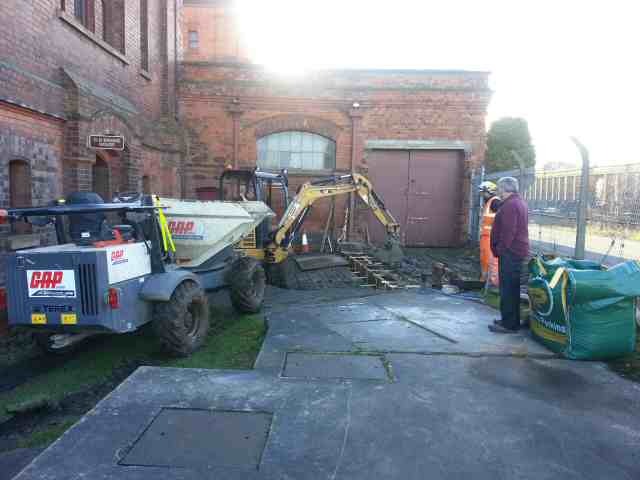 With the help of a mini digger and a dumper load of concrete, the base was laid. • The Trust has received its 100th "Excellent" review on Tripadvisor. If any volunteers or visitors have any pictures that they wish to be added to our news page, please email them to webmaster@claymills.org.uk.